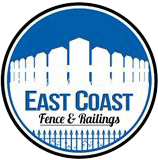 East Coast Fence & Railings is proud to provide PVC fence options to our valued Long Island customers. We stand as the best Long Island company when it comes to fence installation, repairs, and many more services. With free estimates and consistently reliable service, it’s no surprise that so many Long Island residents depend on us for all of their fencing needs. We’re also known for affordable pricing on our PVC fence products, which is designed to last decades on your Long Island property. This means fewer appointments for maintenance and replacements, so you can continue to save money in the long-run. Not only does this result in a lower overall cost, but you’ll also value the time you save by not having to deal with repairs. PVC fence is becoming more popular in backyards across Long Island and the country. This rise in popularity is due to its variety of benefits, which more Long Island homeowners are starting to appreciate. We highly recommend this new type of fencing to our customers looking for a more modern option. PVC fence can eliminate problems associated with fences on Long Island, such as rotting, corrosion, repainting, and more. It’s also an environmentally friendly fencing option, as no dangerous chemicals are used to fabricate it. Most importantly, it’s completely recyclable. The surface of PVC is also extremely smooth, which means you won’t find any splinters or nails that could possibly harm you, your children or pets. A brand new PVC fence will undoubtedly add aesthetic appeal to your Long Island home. Moreover, its unique properties allow for very little damage from the natural elements. This results in a durable fence that you’ll never have to worry about. Also, because this type of fencing is U.V. protected, you don’t have to bother with repainting it on a regular basis. PVC fencing’s U.V. protection prevents fading too. Most of the dirt can be removed with ease, leaving your PVC fence as beautiful as the day it was first installed by our Long Island fence company. Moreover, should your fence be vandalized for some reason, the vandalism can easily be removed. That’s because your Long Island PVC fence is designed to easily resist damage from cleaners like acetone. Thanks to modern innovations in the industry, PVC fencing now comes in a wide variety of style options. Some styles can even mimic the look of wood. That’s why we’re sure that you’ll be able to find a type of PVC fence that you and your family will love. A lot of homeowners select PVC fence for their Long Island home to obtain the look of classic picket fences. These also do not obstruct the view of gardens or other landscaping you may have in your front or backyard. Crucially important is the fact that we’re completely licensed and insured for all of our services. We want you to depend on us as the Long Island PVC fence company that will provide the best work. You’ll be able to trust us completely. If you’re ready to have a brand new fence installation done by a reputable company, don’t hesitate and call East Coast Fence & Railings today at (516) 286-2236. We’d be more than happy to provide you with a free estimate.